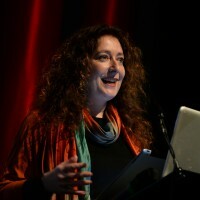 In the next in our series of interviews with the sponsors of the four major prizes to be awarded at The Pixel Market 2012, we talk to Fleur Winters, Head of Amsterdam-based Cinekid for Professionals. The winner of The Cinekid Pixel Market Prize will be automatically selected for the Junior Co-production Market in Amsterdam in October during the world-leading Cinekid Festival. They will also receive full accreditation to the festival, plus return travel to, and accommodation in Amsterdam. Fleur explains why the unique opportunities the winner will find in Amsterdam are the ideal complement to those they will already have enjoyed at The Pixel Market. Power to the Pixel: The Cinekid Pixel Market Prize is a new prize – why is it especially important to recognise cross-media projects aimed at children and young people? 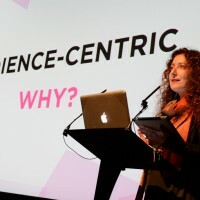 Fleur Winters: The way children consume media is rapidly evolving. They engage with media through multiple screens and platforms. We consider it therefore extremely important to focus on these developments and stimulate quality content on all these platforms and screens – to stimulate the creation, production and distribution of this content, and share knowledge and best practices, and to ensure that the content that the children consume is of good quality. 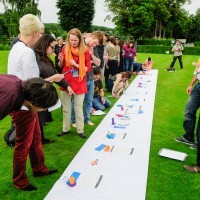 PttP: What qualities will you be looking for in awarding the prize? FW: The creativity; the cross-media approach, including storytelling on the different platforms. Of course also the opportunities a project offers to cross borders and attract partners throughout the world is also very relevant. PttP: The winner of the Cinekid Pixel Market Prize will receive full accreditation to Cinekid for Professionals and confirmed selection at the Junior Co-Production Market in Amsterdam in October. Can you say a bit more about this? FW: The Junior Co-production Market (JCM) presents 35 projects in development. These projects will be pitched to key financiers in the children’s media industry. The financiers vary and include commissioning editors, sales agents, distributors, producers, funding bodies, game developers, entertainment companies etc. The JCM is unique as it’s the only co-production market worldwide that focusses on quality content for children (aged 4 to 14) with both live-action and animation projects for various media. The financiers are real decision-makers and can make a direct impact on your project. The JCM also runs parallel to the largest children’s media festival worldwide, the Cinekid Festival. The Festival attracts over 40,000 children and parents that attend one of the over 500 media productions programmed by Cinekid. This includes the innovative MediaLab – a digital playground for children. We select over 40 installations, consoles, games etc in a large 1200m2 factory hall where children interactively can engage with the latest developments and newest techniques. PttP: What do you think is the significance for producers at the Pixel Market, and the competition for prizes? FW: The Pixel Market offers an amazing overview of all the main, leading cross-media experts and financiers. The JCM offers a different set of financiers that are specifically interested in content for children. We therefore consider the collaboration a perfect addition to each others’ target audience. The projects that travel to both the Pixel Market and then to Cinekid really meet a very broad scope of financiers that all can move their project to the next level. Sources: Kaiser Family Foundation, “Daily media use among children and teens up dramatically from five years ago”, 2010, USA; My Kind Online, “Iene Miene Media”, 2012, The Netherlands.